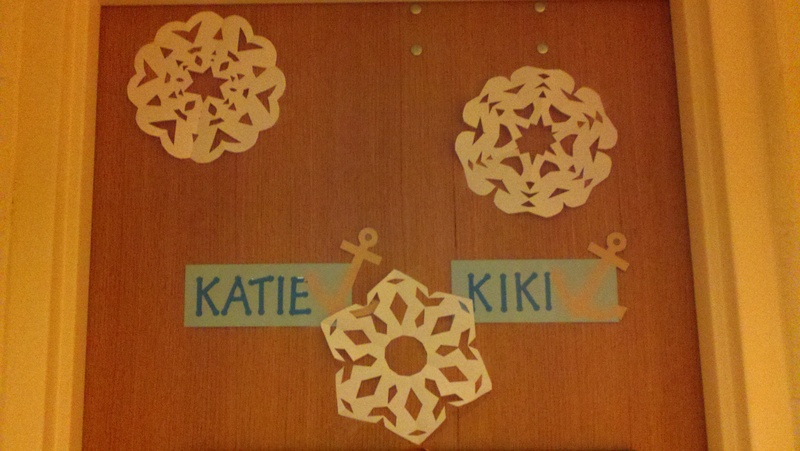 This year, Katie and I wanted to decorate our door for Christmas. But… we never got around to it, so I jumped on that by myself. 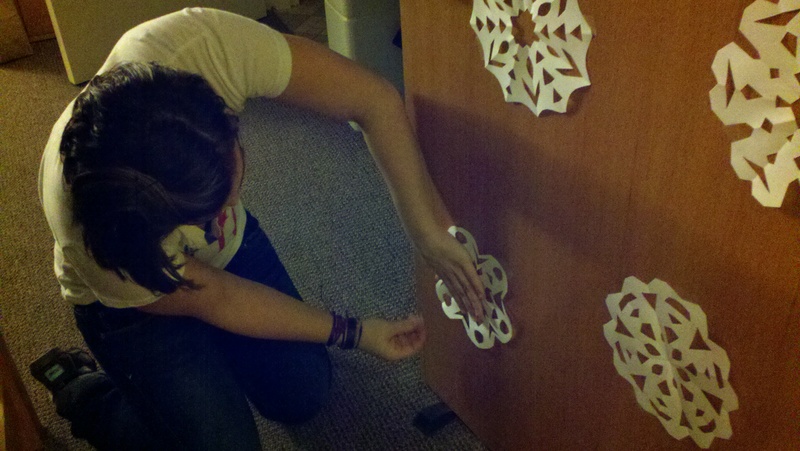 We had previously discussed doing simple snowflakes for the door. I liked the idea because we wouldn’t have to spend any money and it was a quick winter upgrade. Snowflakes are simple and they scream winter not Christmas. Pretty much everyone who knows me knows that I am not the worlds biggest fan of Christmas. I not a huge fan of the music, lights, or trees. It’s just not really my thing. But since we had talked about it, I figured it would not be the end of the world to be somewhat festive. Having 3 weeks off of school is something to be excited about, so I thought it would be a nod to Christmas break too. 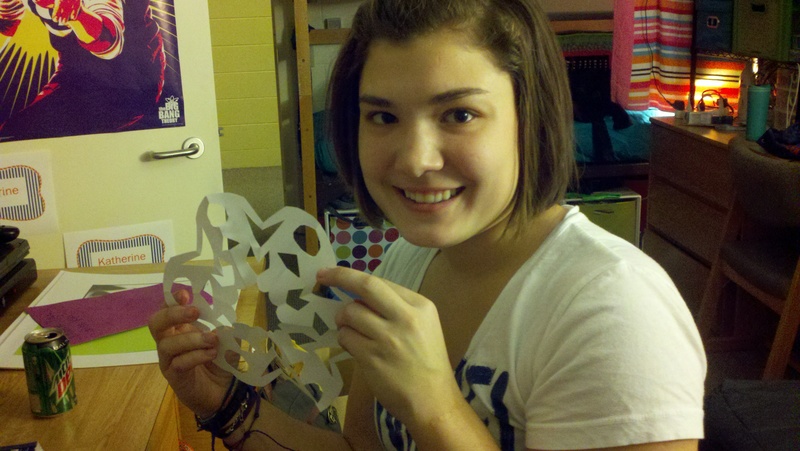 So I started, of course, by looking up on google how to make snowflakes. 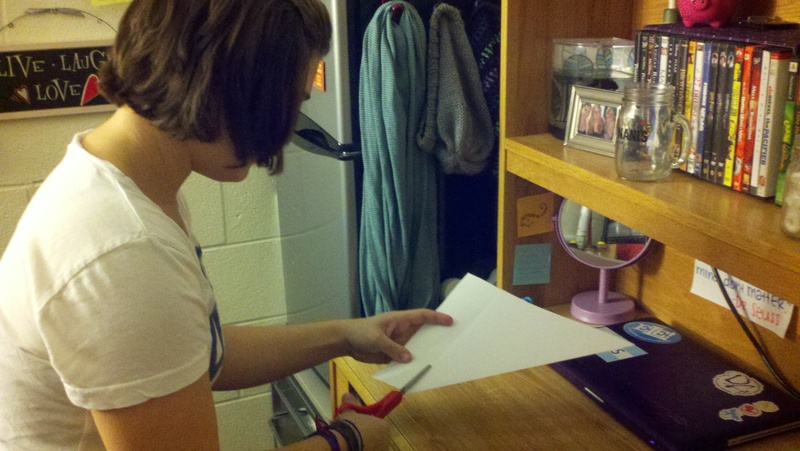 There was a website that showed you how to fold the paper and then gave some examples of how to cut them. So first. Folding the paper. 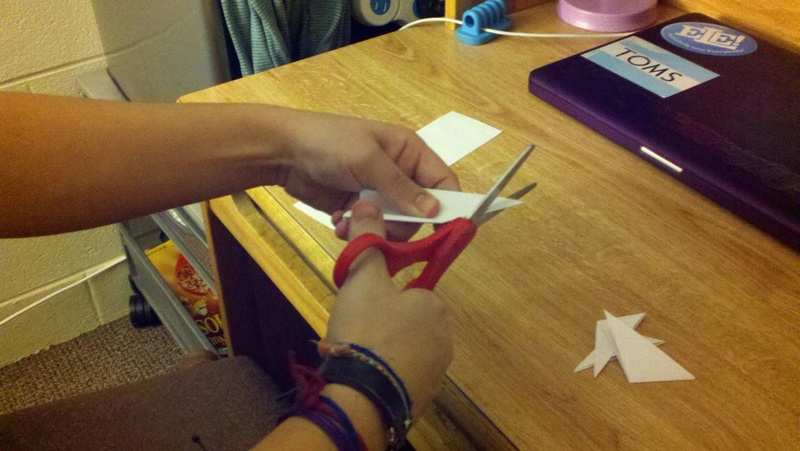 You fold it diagonally into a right triangle and cutting the extra paper off (so that if you were to open the paper back up it would be a square). 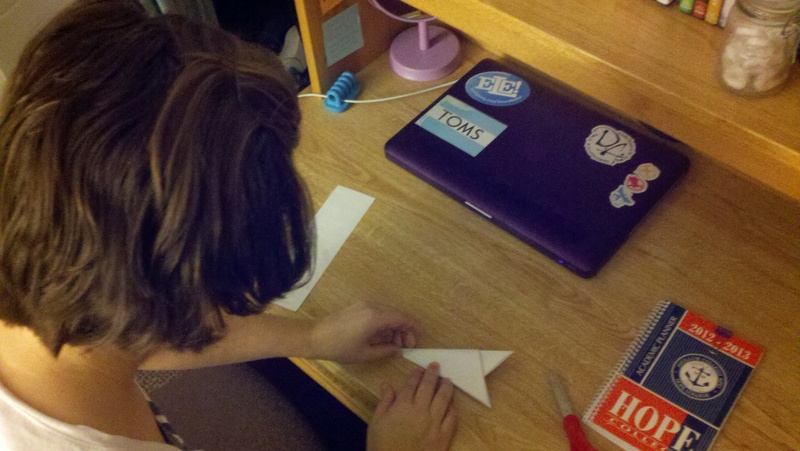 Then you fold that triangle in half to make a slightly smaller triangle. 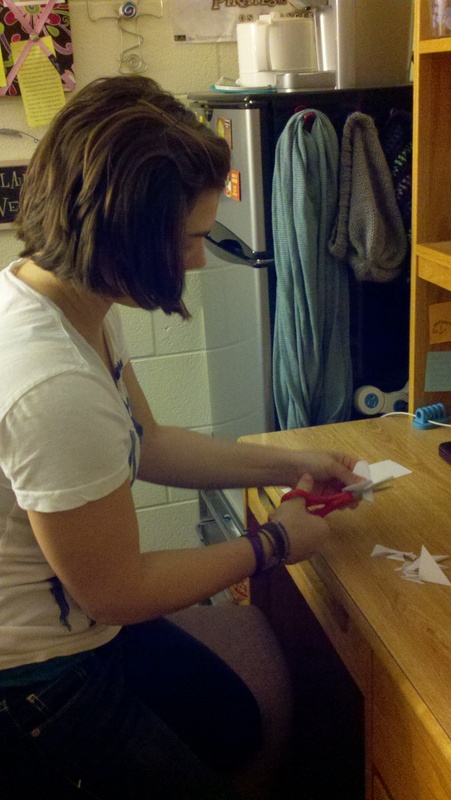 That smaller triangle gets folded into thirds from the top point to make a skinnier triangle. From there you cut the bottom off so that it is a regular triangle. 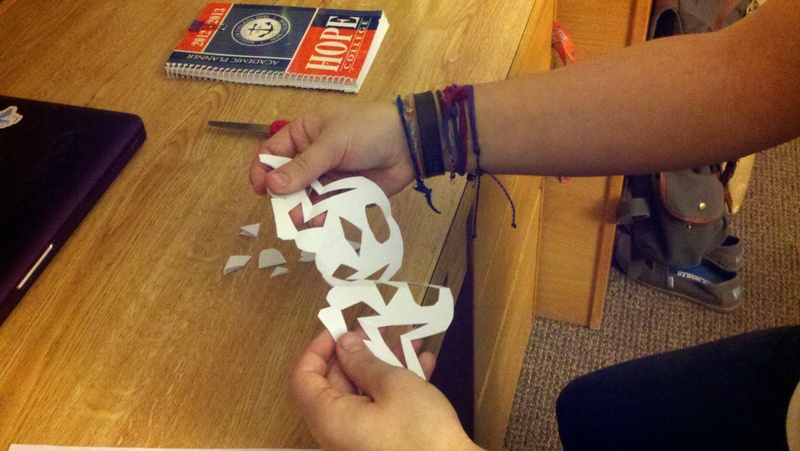 Then, you can cut anywhere to make a fun pattern in your snowflake. The final step is to unfold and view your masterpiece! 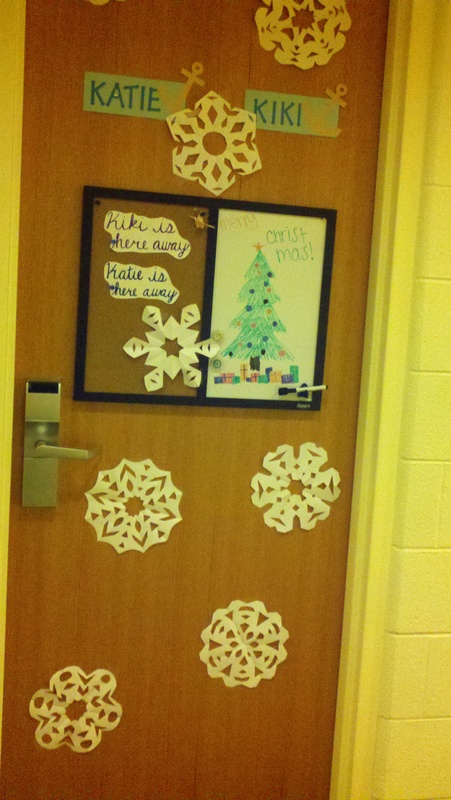 Then, I taped them to the door to show our Christmas or winter spirit! 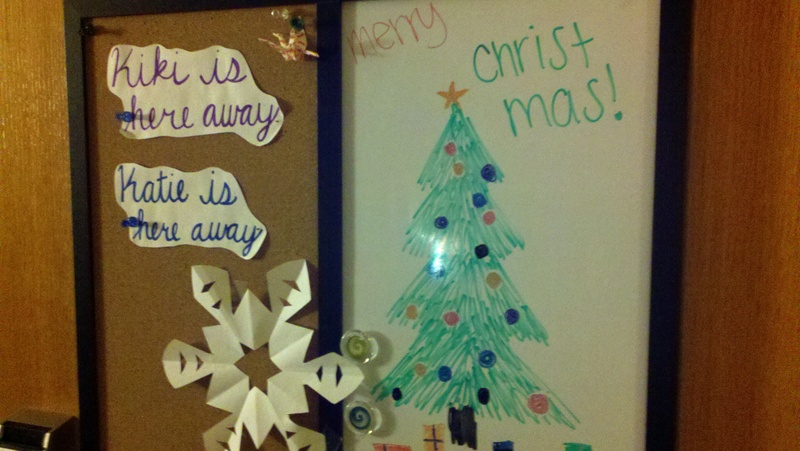 I also decided to redo our white board to be more Christmas-y. 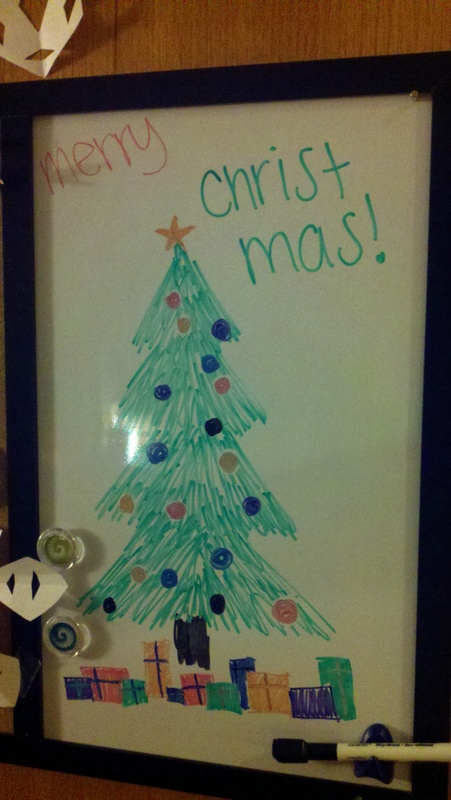 I drew a tree on and we plan to add a countdown for Christmas (I wonder if we’ll actually do that? ).